Chuck Gunsaullus began playing the violin at age 5 in Arlington Heights, IL. He studied violin and conducting at the Hartt School and University of Kansas prior to his career as a violinist, violist, conductor, composer, and teacher. 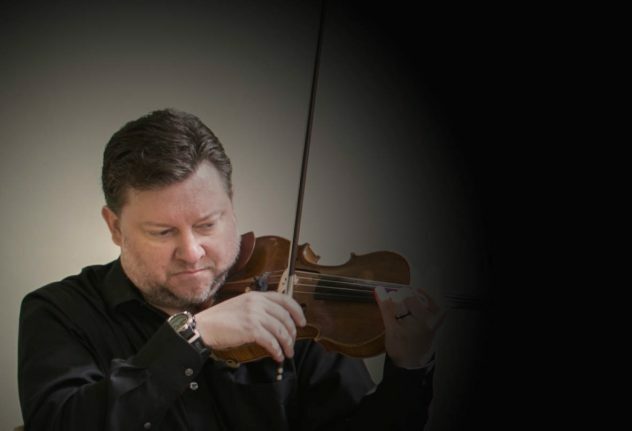 He enjoys a successful freelance career and has performed with orchestras like the Kansas City Chamber Orchestra, the New Jersey Symphony, the Hartford Symphony, the Orchestra of St. Peter by the Sea, the Tallahassee Symphony, and the Georgia Symphony. He is also an experienced pit and backing musician. Mr. Gunsaullus loves teaching all ages and skill levels on both violin and viola. He also is a composer, writing both original pieces and arrangements. He is a 18-handicap golfer, loves his Chicago Cubs, and especially loves writing his own bios in the third person.